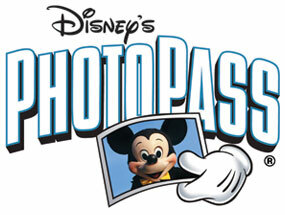 Disney's PhotoPass service has introduced a new package called 'Attractions+'. The new service gives you digital files of all the participating attraction photos taken within a 14 day visit to Walt Disney World or Disneyland Resort for a cost of $44.95. Currently the service has to be purchased at a photo center on-property, it is not available online at this time. Below are the full details from the folks at Disney. NEW! Disney Attractions+ now available at Walt Disney World® and Disneyland® Resorts. Take home all the thrills, spins, and speed with Disney Attractions+. Disney Attractions+ is your all access pass to all your Attraction images – for one price. Attractions+ is sold at participating Attractions Photo Sales Centers. With Attractions+ you will have digital files of all the participating Attraction photos taken within a 14 day visit to Walt Disney World or Disneyland Resort. Once you arrive home from your vacation, you can view and download all the high resolution photos plus a limited license agreement, which allows you to print photos at any local photo processing center.